Armour Thyroid and selenium are both natural supplements often recommended for treating hypothyroidism, a condition involving an underproduction of thyroid hormone. If you have low thyroid-hormone levels, your doctor may diagnose you with the autoimmune condition known as Hashimoto’s thyroiditis, an iodine deficiency or another condition that affects your thyroid gland. Before you begin taking selenium and Armour Thyroid, consult your doctor to discuss the proper use, potential risks and drug interactions. 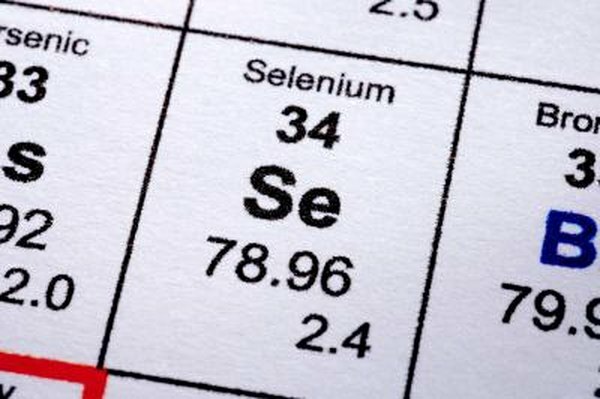 While selenium is an essential trace mineral. Armour Thyroid is a product made from the thyroids of pigs, explains the U.S. National Library of Medicine on the Daily Med. Armour Thyroid is meant to correct the thyroid-hormone deficiency in people with hypothyroidism, and the natural supplement tends to act just as effectively as synthetic thyroid hormone. Selenium also plays an important role in thyroid function, supporting thyroid-hormone metabolism, says the University of Michigan Health System. In fact, selenium deficiency is often seen in people with hypothyroidism and goiters. Taking a selenium supplement may correct a deficiency in people with hypothyroidism, which could help support normal thyroid-hormone metabolism, according to the University of Michigan Health System. Likewise, taking Armour Thyroid may help normalize your thyroid-hormone levels. In some cases, Armour Thyroid might work better than synthetic thyroid hormone because Armour Thyroid contains both biologically active hormones -- thyroxine and triiodothyronine -- while the synthetic treatments contain only thyroxine. You must take Armour Thyroid only under the close supervision of a doctor, however. In addition to Armour Thyroid and selenium, other natural remedies could help treat hypothyroidism. For example, people with hypothyroidism may have zinc or vitamin A deficiency, so taking supplements of these nutrients could help support normal thyroid function, says the University of Michigan Health System. Taking a supplement of L-tyrosine could help increase your thyroid-hormone level, because your thyroid gland uses tyrosine to make the hormone, notes the University of Maryland Medical Center. Herbal supplements of coleus and guggul could help improve thyroid function as well. Don’t take any dietary or herbal supplements for hypothyroidism without first consulting your physician. Iodine deficiency is a main cause of hypothyroidism, but such deficiencies are rare in developed countries, states the University of Maryland Medical Center. Many natural treatments and supplements for low thyroid-hormone levels and goiters often involve iodine, such as the herbal remedy bladderwrack, which contains large amounts of iodine. Be aware that iodine deficiency is just one cause of hypothyroidism, and taking iodine supplements or herbal remedies could cause or worsen thyroid problems if you don’t have an iodine deficiency, warns the University of Michigan Health System. If you have hypothyroidism due to iodine deficiency, don’t take a selenium supplement unless you’re also taking extra iodine or a thyroid hormone supplement, warns the University of Michigan Health System. Taking a selenium supplement in this type of situation would worsen your hypothyroidism. Caffeine, soy and iron supplements can interfere with your thyroid function and your absorption of thyroid hormone, says the University of Maryland Medical Center. Also, don’t take L-tyrosine if you’re also taking thyroid hormone medications or supplements, or if you have high blood pressure. Don’t take any kind of iodine supplement or herbal product such as bladderwrack to treat hypothyroidism, unless your doctor advises you to do so to correct an iodine deficiency.